When you are looking for a permanent solution to replace missing teeth, you need to work with an implant dentist with a history of success with this complex procedure. Turn to Dr. James Woodyard, a board certified periodontist and the first doctor in the area to offer Teeth Xpress™. This innovative treatment option is perfect for patients that do not want to go through the long waiting period associated with traditional dental implants in Evansville, IN. Our experienced team has helped many patients with missing teeth rebuild and restore their smile with dental implants. The Teeth Xpress™ procedure involves placing natural-looking dental implants to replace missing teeth and prevent further bone loss. 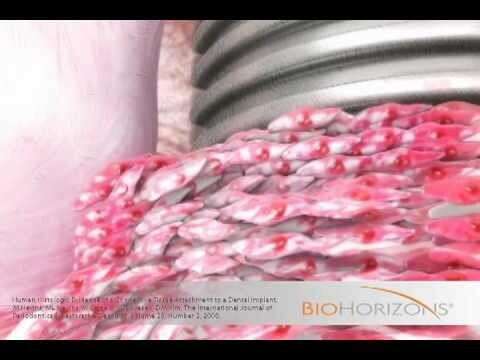 We use BioHorizons® Laser-Lok® technology which helps reduce bone loss in dental implant patients. This ensures you maintain that beautiful and natural-looking smile for many years to come. Dr. Woodyard is among the few periodontists with experience using the BioHorizons® Laser-Lok® technology for dental implant procedures. Laser-Lok® is a surface treatment that helps create a biologic seal around the dental implant to protect the tissue and improve bone health. Statistics show patients undergoing treatment with Laser-Lok® significantly lower their risk of bone loss years later. Thanks to Dr. Woodyard’s expertise and experience placing dental implants in Evansville, IN, you can have a beautiful new smile without extensive surgery. We offer a range of solutions for patients with missing teeth and also offer sedation dentistry services to make your visit more manageable. Restore and rebuild your smile with Teeth Xpress™, the ideal solution for busy patients. Learn more about your options for replacing missing teeth.